SPECIAL PROMO OFFER FOR FIRST 50 PEOPLE! Email us at [email protected] to find out if you qualify! Updated on Oct 16, 2018 : Only 12 spots remain!  Tune in to 2 daily live Forex Trading Sessions in the Trading Room with Jon Morgan. The first one will be the New York Live Session at 8:30 AM EST, and the second one is the London Live Session at 5:30 AM EST. Jon will be analyzing the forex market with you, provide trading ideas for all the major currency pairs, and answering any questions you may have. Tune in to our daily live Crypto Trading Session in the Trading Room with De Crypto Markets, also with Jon Morgan. The session is at 2:00 PM EST where Jon will talk about any major news and updates in the cryptocurrency world, provide technical and fundamental analysis on Bitcoin and the major cryptos, and Q&A at the end of every session. De Crypto Markets offers this service separately as well. Learn how to become a profitable trader by leveraging our experts’ knowledge, expertise, and successful trading strategies. Earn while you learn from our professional traders by following their trade signals and enjoy the benefits of successful forex trading. No more spending hours analyzing the forex charts. We’ll find the best trade setups and send them your way. Better yet, we can manage your trading account! MAM vs. PAMM Account | What’s the Difference?